Michael Dell, yesterday, said that he believes the pace of consolidation within the PC industry will increase in the next few years and said that he has no intention of allowing Dell to fall behind. Hinting heavily at possible major acquisitions within the next year or two, Dell said: "I think the pace of consolidation will increase. I think that it favours the larger companies, particularly as the growth is skewed towards emerging countries. "In the last two years Dell has acquired five companies, two related to the consumer business, one related to software and two related to services. These have all been relatively small companies but I would not be surprised if the nature and pace of acquisitions increases somewhat." Dell was in Tokyo to promote the launch of the company’s ‘simplify IT’ program. It aims to cut corporate IT costs, by promoting the cost benefits of new hardware over maintaining older hardware. He said that currently, companies spend around 70 per cent of their IT budgets maintaining IT equipment, but only 30 per cent on new equipment. He said that companies can save money, however, that in order to do so, they must change their spend to 70 per cent on new hardware and only 30 per cent on maintenance. Dell also expanded upon his company’s channel presence, saying: "The first steps that we have taken with the partners mentioned earlier are really just that, first steps. "So I think you can expect over the next several quarters or year or two, that in all major countries around the world like Japan, Korea, China, India, U.S., France, U.K., Russia, etc., you would see Dell having a small number of key partnerships which allow consumers to purchase Dell products at retail. It’s really about making our products available in more places. "I believe we can grow the direct business both on telephone and online and I believe we can grow a channel, a partner business. 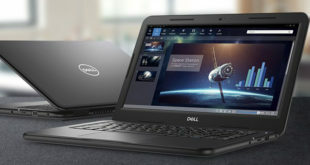 And we are also working very hard to extend the capabilities that Dell has to our channel partners," he added.